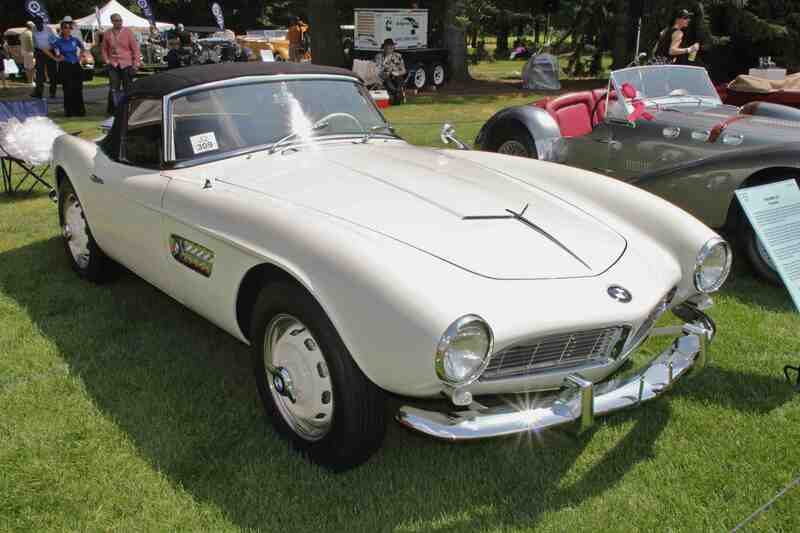 The BMW 507 sports car was another brainchild of importer Max Hoffman, who knew the roadster would be a good fit between the little British sports cars of the day and the expensive Mercedes 300 SL. Based on the 502 sedan chassis and mechanicals, and designed by none other than Albrecht Goertz, power came from a 3.2-liter aluminum alloy V-8 producing 155 HP. With a four-speed manual gearbox, top speed was 120 MPH. Despite big plans, only 252 examples of the expensive roadster were produced, making these cars highly desirable today. This model, displayed with Rudge wheels and a removable factory hardtop was delivered to its first owner in New Jersey, and carefully driven until 2001. Now in the custody of its third owner, it has only benefitted from a full repaint, with the engine, convertible top, and full interior all completely factory original. If you have an early model BMW or another collectible you’d like to insure with us, let us show you how we are more than just another collector vehicle insurance company. We want to protect your passion! Click below for an online quote, or give us a call at 800.678.5173.